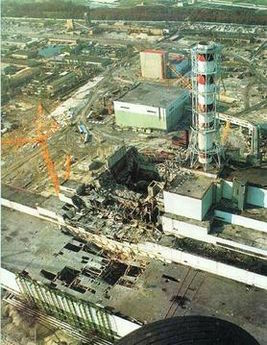 The Chernobyl nuclear plant after the explosion and meltdown there in 1986. The Ukrainian government says that the nuclear wasteland around the site of the Chernobyl nuclear power-plant disaster could be turned into one of the world’s largest solar farms. The Guardian says officials say that the plant could generate nearly a third of the electricity that the nuclear facility generated before the explosion and meltdown there in 1986.